In advance of the classroom workshop, Dr. Yiannis Anagnostopoulos introduces the core principles for effective modern project management. Traditionally managers merely had to focus on aspects of technical project management with a single, ultimate focus on deliverables and products. Today’s modern project managers need to think and act in a way well outside the project. Contemporary project management calls for expanding our perspective and skills beyond meeting tight deadlines and budgets. Project leaders must also have a view on the big picture; think strategically within their role as project managers; and think how projects align with dynamically shifting business objectives. In this short article we will concentrate on the latter two aspects above. As Lord Kelvin very successfully positioned: ‘…when you can measure what you are speaking about, and express it in numbers, you know something about it; but when you cannot measure it, when you cannot express it in numbers, your knowledge is of a meagre and unsatisfactory kind; it may be the beginning of knowledge, but you have scarcely in your thoughts advanced to the state of Science, whatever the matter may be.” [PLA, vol. 1, “Electrical Units of Measurement”, 1883-05-03]. 1. Commercial – Can growth be traced by an economic size to which the project adds? The company must thus already identify what economic success means. 2. Clientele – as an example, new trade can be originated through adding value by strategically re-positioning products and services to a niche/new group of clienteles. What is the matching metric that relays to that initiative, and how is advancement traced? 3. Organic Corporate Processes –investment in internal projects (such as say a new accounting model/logistics) that can streamline practises in order to gain a competitive advantage. 4. Education and Development (Lessons Learned Log, LLL) – most lost opportunities appear here; most – if not all – projects provide a significant prospect for most institutions to learn and develop positions against human resources but also carry lessons forward to new/other projects. To conclude this section, the issue is that business management and strategy are not necessarily entwined into the fabric of the project management as a discipline to say so. It may well be the case that a project is accomplished “successfully,” only to find later that it did not accomplish much. A big risk to take. Usually the Project Executive knows how should risk be assessed, tracked and communicated during the project. Risk awareness for the project is an integral part; it will provide and build in the specific risk management techniques and standards to be applied during the project, and the responsibilities to provide for an effective and consistent risk management procedure. However, decent project managers, in preparation for a project will always look at what in project management parlance is called a WBS; a work breakdown structure. It is a key project deliverable that organizes a team’s work into smaller, manageable sections. This forms the basis for identifying risks with thoroughgoing rigour. Each activity (or product) at the lowest level of the WBS comes with identification of all of the risks in undertaking the activity or creating the product. That is the well-known and very detailed Risk Breakdown Structure and example of such risks will include (but not limited to) schedule, scope, budget, quality risks associated with the relevant risk log inputs. Agile project (and risk) management demands narrowing the crucial gaps among the disciplines of business management, strategic skills and technical capabilities. While not fairly straightforward to fulfil within a project manager’s domain, without overreaching duties, the fundamental aspect is to peg certain metrics (and knowledge of) back to the company’s strategy. 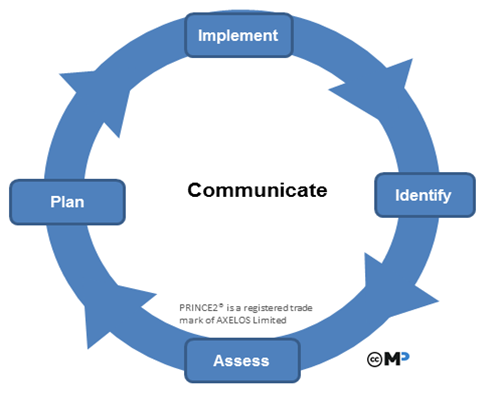 Hence instead of intensifying and escalating one’s own accountabilities as a project manager, emphasizing on these capacities above during the lifecycle of the project could provide for a more comprehensive and ‘all-season’ manager. 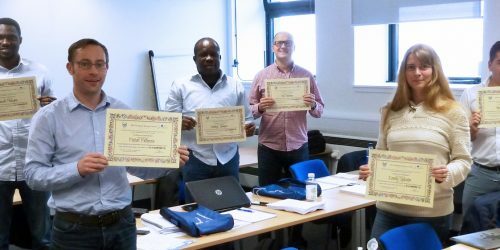 The above concepts will be discussed in more depth at the Project Management classroom course held at the University of London on the 7th – 8th March 2018, along with an intensive look at the core components for successful project management. As there are limited spaces available on the course, if you are interested in attending please email [email protected] as soon as possible.